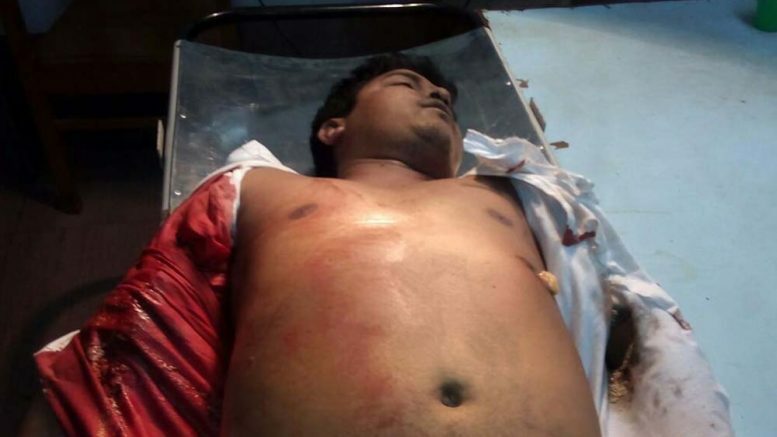 Bipradas Sarkar (alias Debdas) was shot once on the left side of his chest at about 9pm when he asked the picnic organizers about the identity of the outsiders assembled in the local library ground for the picnic. The bullet that was pumped pierced his chest leaving him dead on the spot. He was rushed to Ranaghat sub divisional hospital where he was declared brought dead. Local sources said at about 9pm Bipradas riding his bike went to the picnic venue at the library ground and got involved into an altercation with the members of the rival gang led by Chandan Das. Sources also claimed that it was Chandan who fired at Bipradas and fled. Police has started a murder case on the basis of a complaint lodged by the victim’s father against local Trinamul Congress activist Chandan Das and other unknown perosn. However, none of the accused persons could so far be arrested by the police for the alleged murder. Nadia police superintendent Sheesh Ram Jhanjharia said: “We have received a complaint and examining all the possible aspects behind the murder. We are hopeful to arrest the culprits soon”. An investigating officer of the Taherpur police station said: “The murder is fallout of old political rivalry with Chandan”. The locals ransacked five houses of the suspected assailants, who went absconding and also blocked the Ranaghat-Krishnanagar state highway demanding arrest of the culprits. The deceased was an active member of the youth wing of Trinamul Congress and as claimed by party leader Tapas Ghosh, who is also sabhapati of Ranaghat-II panchayat samity. But, Birnagar Municipality chairman Partha Chatterjee said that the deceased was not associated with Trinamul Congress. Party insiders in Birnagar claimed that Bipradas had earned wrath of a section of the party as he was accused of working in favour of Congress candidate Sankar Singh in Ranaghat (NW) seat in the last assembly election in that eventually led to defeat of sitting party MLA and candidate Partha Sarathi Chatterjee. Trinamul leader Tapas Ghosh said: “Bipradas was a Trinamul activist since long. He was very popular in the area and often raised voice against satta racket in the area for which he was killed”.